Keeping up with the most recent technology updates often comes at a high price. Deals abound, but it can be hard to sift through the options to find the right deal. Cell phones are especially important -- and expensive. Luckily, MyRatePlan has done all of the work! We offer the unique opportunity to easily sift through all the applicable offers so that each customer can find the perfect device at a great price. We offer special promotions on smartphones, tablets, wearable technology and accessories enhanced with coupons from all of the major cell phone providers -- so the perfect device comes with the perfect deal at MyRatePlan! Amazon Prime Day is summer's biggest sales day. Check out all of the Amazon Prime Day smartphone and cell phone sales and deals at MyRatePlan. 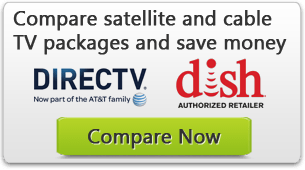 Compare deals and view pricing below. MyRatePlan offers a sophisticated search engine tool. Each user can sort through all of the available cell phone and smartphone deals to find the one best suited for their specific financial situation. Personalized, economical and sophisticated searching guarantees that each user will find the best deals possible. The keyword search feature allows users to personalize their choice of coupons and specials based on what is most important to them. From coupons for free shipping to unlimited data plan deals, MyRatePlan has something for everyone. Not only that, but the site is set up so that users can add layers to their savings leading to deep discounts on a device that is perfectly suited to their needs. However, by adding more layers, customers can make great deals even better. The site makes adding additional discounts incredibly easy. Beyond device types, we have savings options for seasonal cell phone deals, different operating systems, data plan types, service providers and even age or occupation. A wide variety of options plus a great search tool means customers can be confident they've gotten the best deal possible. A special feature of MyRatePlan is their holiday bargains section. Here users can find extra cell phone savings from New Year's through Christmas -- and all of the holidays in between. Whether it's for a gift, a treat or an office expense, holiday deals mean no one should ever have to pay full price. For users who need a phone right away -- and can't wait for the next holiday deal -- MyRatePlan offers everyday savings. Users can try the keyword search to find the best everyday bargain. No matter what season it is, MyRatePlan offers discounts on shipping, data usage and special online only discounts. These deals mean customers can get a new cell phone when they need it. There is no longer any need to wait. Specific operating systems each have their own coupons. Searching for the best smartphone deal doesn't have to mean being restricted to a certain operating system. At MyRatePlan, users routinely find deals on IOS, Android, Windows and Blackberry devices. No need to wait or choose. Users can just specify their preferred system and be they'll be offered a wide variety of discounts to choose from. Sharing a little bit of personal information can add a third layer of savings. College students, veterans and seniors are just of a few of the special groups of people that will find deeper discounts. Customers already committed to a wireless carrier will still find fantastic deals here. With a simple filter based on service provider, they'll find coupons for all of the major carriers. Deals can be found for Verizon, AT&T, Sprint, T-Mobile plus newer, up and coming providers. Not only can devices specific to these carriers be found here, but users that aren't already committed can find great deals on a new plan.